Summer’s here and the time is as good as any (and better than most) for dancing in the street. If that’s not your bag baby, then it’s also a great time to get out with the camera – long days, warm weather and only the occasional brutal downpour. Over at Sunny 16 Towers we’ve dealt with the heat by making skimpy shorts our official Summer uniform, and constantly eating Ice cream – we’ve got all the scoops. 4.0.1 Do you enjoy reading 35mmc? First up on the board it would be most remiss not to talk about the pixl-latr, an iffy name for a smashing new product from the twisted mind that brings you 35mmc.com, Hamish Gill. If you haven’t been paying attention you may not be familiar with the pixl-latr, and the valuable role it seeks to fulfil within the analogue photography process. 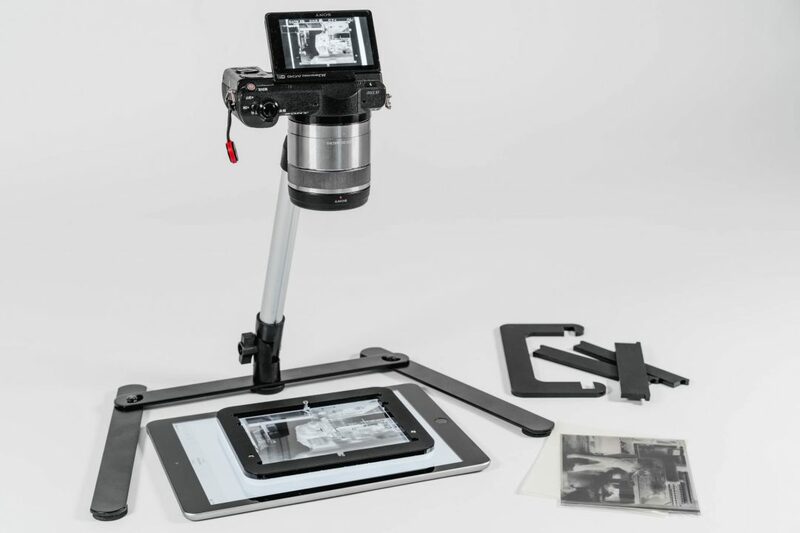 It’s a low cost way of making it easier to digitise negatives, a compact, neat frame which will hold negatives from 35mm to 4×5, and 120 film up to 6×12 securely and flat. When coupled with a lightbox or other method of backlighting and a digital camera, you have everything you need to get decent quality images. This isn’t aimed at replacing dedicated scanners, rather offering a solution to people who don’t already own one, who are travelling, or who are shooting a format their scanner can’t handle. Personally, this will be hugely useful to me for digitising 4×5 negs, which I currently have to do in two bites and stitch together. The pixl-latr is launching on Kickstarter on the 15th June, and you can sign up to the mailing list to be informed when the Kickstarter launches…spoiler, it’s the 15th of June. I’ve was lucky enough to see an early prototype of the pixl-latr, and it’s a really neat thing. It has the potential to solve a lot of digitising problems cheaply, perfect if you don’t want to spend the hundreds on a dedicated scanning device. From an exciting new innovation from a thrusting young startup to an update on a returning classic. 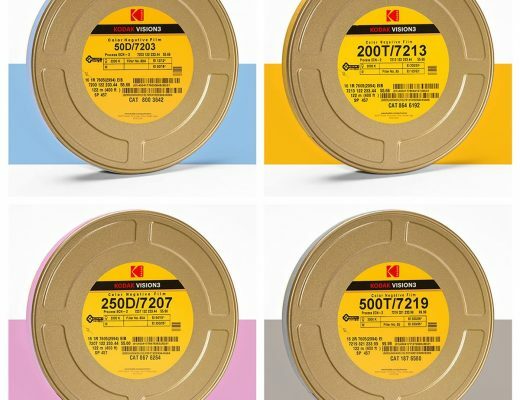 Back in January 2017 Kodak announced they were bringing back Ektachrome 100, a colour slide film discontinued in 2012. Unlike the recent announcement and rapid release of Kodak Tmax 3200, it’s clear that when Ektachrome was announced the project was in its infancy. News on the film’s progression has been a sporadic and slow to appear, so when they released an update with sample images this week it was to a clamouring audience. Response to the update has been…mixed. For some reason, the quality of the reproduction of these images is, well, staggeringly low. Maybe Hamish needs to send a pixl-latr to Rochester, maybe some of them are crops to show detail, or maybe it’s because some of the images were pulled from low-res video files. However you cut it, they aren’t showing the film off at it’s best. 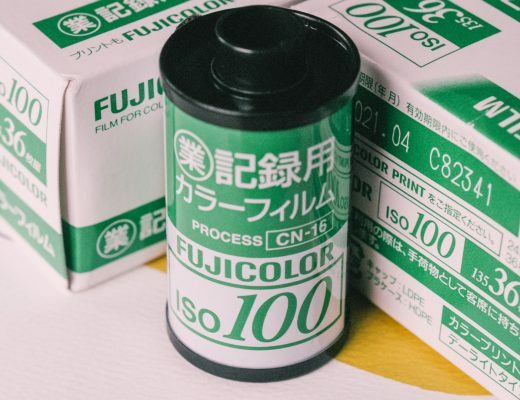 Fujifilm’s continuing withdrawal from the film market has a lot of people very worried about the future of slide film, and understandably looking to Kodak to plug that coming gap with Ektachrome, and Ferrania with their upcoming slide film. Ferrania have gone quiet while major structural upheaval has been taking place, so all eyes are on Kodak. I have every confidence Kodak will bring a top quality film to market with Ektachrome 100. They know what they’re doing, but it’s a technically difficult thing to do with a tight budget and a small team in 2018. I can also understand them being keen to get images out to show progress to an increasingly impatient audience, but as first impressions go, this could have gone better. And finally, on the news front, MiNT Cameras have opened up pre-orders for their premium Instant Rangefinder camera, the RF70. Shooting Instax wide, and with a design similar to modern Fujifilm folding medium format cameras, the RF70 is a serious camera for the Instant enthusiast, with a fairly serious price tag to go with it. 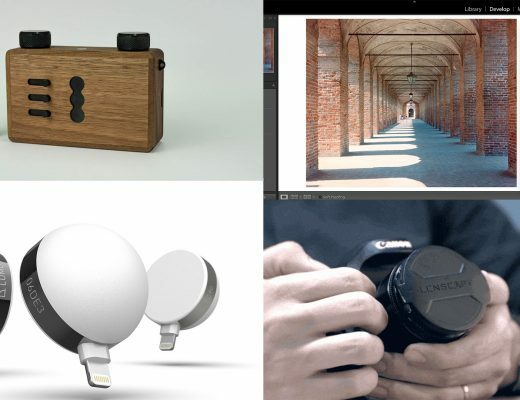 If you want to get hold of one this year and have £649 to spend then get over to https://mint-camera.com/about-instantkon-rf70 and get your name down – but don’t hang around as they’re going fast. In Podcast news, on the show last week we were joined by Eric Swanger – friend, photographer and all round lovely guy to judge the last round of the Cheap Shots Challenge, the topic of which was Food. As in previous rounds we were delighted by the response from listeners, who supplied an incredibly diverse range of pictures for us to enjoy. We want to say a huge thank you to Analogue Wonderland who very kindly supplied us with prizes for this round. 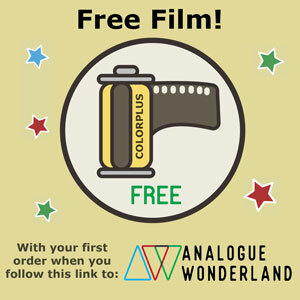 If you haven’t checked out Analogue Wonderland yet you really should, they’re a great one-stop-shop experience for buying an incredible range of films, and they’re also just very nice people. As one Cheap Shots Challenge ends, so another begins. The theme for this next round is Landscapes – couldn’t be easier! While we can’t promise any prizes will be had this time out, we can promise that your pictures will get looked at and discussed on the show, and you stand the chance of winning the ultimate prize – Bragging rights! You can find all the information you need to take part right here. That’s it for this weeks news blast. Don’t forget to keep a keen eye out for the pixl-latr Kickstarter launching soon, and if you want to hear more from the man behind it you can find Hamish on a recent episode of the Classic Lenses Podcast . Until next time, shoot some film, be nice to one another, and wear suncream. The Sunny 16 Podcast is a weekly podcast centred on our love of analogue photography and the people who engage in it. It's like a trip to the pub with people who share your love for the hobby, only in your ears!